Ovaj oglas je istekao 09.02.2017. i više nije aktivan. Based in Strasbourg, France, the European Court of Human Rights is an international court set up in 1959. It rules on individual or State applications alleging violations of the civil and political rights set out in the European Convention on Human Rights. Working in a Legal Division, you will be responsible for case files to be processed in English or French. Principal duties include: examining and dealing with applications and cases; advice to applicants on admissibility; preparation of case files for submission and necessary documentation for meetings; presentation of applications; drafting legal documents and dealing with correspondence with applicants or authorities. As part of your role you will participate in meetings and in the supervision of trainee and assistant lawyers. Finally, you’ll represent the Court at outside events. Together with a university degree in law of a standard permitting access, either on the basis of qualifications or after passing a competitive examination, to the judicial administration or legal professions in Croatia, you will have at least two years of experience in the legal field (preferably in the judicial service) gained in Croatia or internationally. This will have given you thorough knowledge of the Croatian legal system and proven ability to handle cases in other jurisdictions, backed by a broad knowledge of constitutional law. Speaking and writing Croatian at mother-tongue level, it is essential that you have a good command of both English and French, as well as a high level of integrity, independence and loyalty. 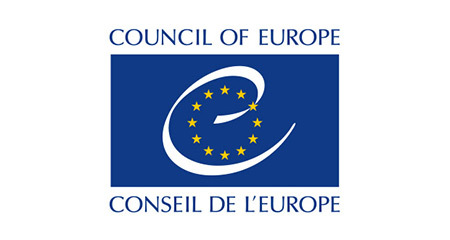 Applications should be made in English or French using the Council of Europe online application system at www.coe-recruitment.com before the deadline of 9 February 2017.